The report of the largest known harvest of Internet credentials, an estimated 1.2 billion passwords, names and personal information from 420,000 web sites by a group of Russian hackers, is but the latest incident in a surging tide of global cybercrime. In other cyber theaters, conflicts around the world from Russian-sponsored attacks in Ukraine to the Israeli-Hamas war, the radical Islamic group ISIL in Syria and Iraq, and elsewhere, all exhibit increasing levels of sophisticated cyber operations. Where are the cybersecurity warriors, the cyber Red Adairs needed to fight the digital-fueled fires of this electronic era? In a word, scarce. Amid a current shortage estimated to be in the range of 300,000 cybersecurity professionals, compensation is soaring, with average annual salaries, according to CIO magazine, of $116,000. Poaching of top security talent has become a standard practice for many organizations. And looking ahead, shortages are projected to increase. A recent survey by researcher Frost & Sullivan projects a need for up to 2.0 million additional information security personnel by 2017. Solutions are few. Save effective new developments in cyber defenses, few near-term solutions exist to a security talent crunch that is increasingly being referred to as a global human capital crisis. One promising initiative addressing this need is the Air Force Association’s CyberPatriot youth cyber education program. 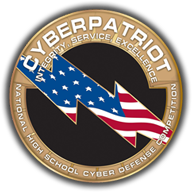 Launched in 2009, CyberPatriot began with eight high school cybersecurity teams competing for scholarships. In just six years, participation quickly expanded to more than 1500 teams around the world. CyberPatriot a Solution to Cybersecurity Skills Gap? Given such perspective, how concerned is he about the increasing cyber threats to our nation’s security? “I’m gravely concerned. We face economic chaos, continued major losses to our intellectual property, and serious threats to our national security. What is needed is a national strategic discussion” addressing the country’s cybersecurity crisis. And getting others on board behind an initiative is clearly one of Bernie Skoch’s major strengths. He has the results to prove it.